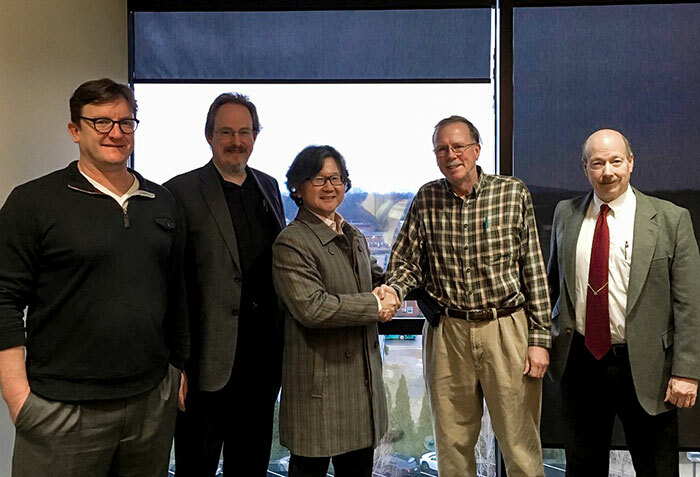 Huntsville, AL January 17, 2019 — Today, Dr. Jonn Kim, CEO/CTO of Geeks and Nerds (GaN), and Mr. Stephen Werner, CEO of Q-Track Corporation jointly announced GaN’s acquisition of the assets of Q-Track, an innovative company providing indoor location, safety, and RF solutions, and the engagement of its management team. “We’ve always been geeks and nerds at Q-Track,” adds Q-Track co-founder and CTO, Dr. Hans G. Schantz. “This just makes it official.” Dr. Schantz will serve as Principal Scientist of Geeks and Nerds, and will help support the transition of Q-Track’s legacy products and capabilities to GaN. About GaN: Incorporated in 2004, Geeks and Nerds (GaN) has grown from one employee located in Huntsville, Alabama, to an award winning company, recognized by Huntsville Chamber of Commerce, INC 500®, and U.S. Chamber of Commerce. GaN has won and performed 27 multi-million dollar prime contracts in the areas of cyber security, test and evaluation, system integration, data analytics, information technology, and software engineering. About Q-Track: Q-Track Corporation (www.Q-Track.com) offers solutions that provide “Knowing Where, Anywhere” for a growing range of industrial real-time location applications. The company’s patented Near-Field Electromagnetic Ranging (NFER®) systems employ a unique low-frequency, long-wavelength radio signal to achieve highly accurate indoor location results even in complicated non-line-of-sight environments. NFER® Real Time Location Systems enable “Dosimulation™,” a radiation worker training system deployed in a third of U.S. nuclear plants. Q-Track also offers proximity detection and collision avoidance systems that protect people from cranes, robotic material handling equipment, and forklifts at a variety of manufacturing plants nationwide, as well as location systems that enhance military training by precisely locating soldiers in training ranges extending through multiple buildings.